Thank U, Next (stylized in all lowercase) is the fifth studio album by American singer Ariana Grande, released on February 8, 2019, by Republic Records. Following the release of her previous studio album Sweetener (2018), Grande began working on a new album in October of the same year, enlisting writers and producers such as Tommy Brown, Max Martin, Ilya Salmanzadeh and Andrew "Pop" Wansel. 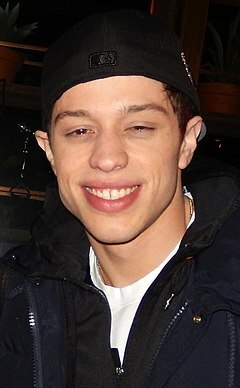 The album was created in the midst of personal matters, including the death of her ex-boyfriend Mac Miller and her break up with fiancé Pete Davidson. The Sweetener World Tour is the fourth concert tour by American singer Ariana Grande, in support of her fourth and fifth studio albums Sweetener (2018) and Thank U, Next (2019). The tour began on March 18, 2019, in Albany at Times Union Center. 1 2 3 4 "thank u, next by Ariana Grande on Apple Music". Apple Music . Retrieved January 25, 2019. 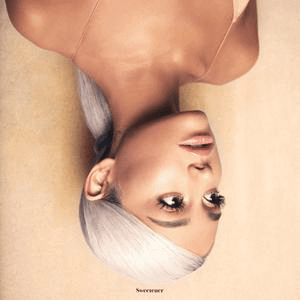 1 2 "Ariana Grande – thank u, next". Amazon. January 25, 2019. Retrieved January 25, 2019. 1 2 Maicki, Salvatore (October 2, 2018). "Ariana Grande is back in the studio working on new music". The Fader . Retrieved November 11, 2018. ↑ "Ariana Grande hints new album is ready but her record label won't release it". Big Top 40. December 5, 2018. Retrieved December 10, 2018. 1 2 3 4 Erlewine, Stephen Thomas. "thank u, next – Ariana Grande". AllMusic . Retrieved February 8, 2019. 1 2 3 Jenkins, Craig. "Thank U, Next Is a Phoenix Moment for Ariana Grande". Vulture . Retrieved February 8, 2019. ↑ Grande, Ariana [@ArianaGrande] (January 23, 2019). "feb 8" (Tweet). Retrieved January 23, 2019– via Twitter. 1 2 Blistein, Jon (January 22, 2019). "Ariana Grande Details Thank U, Next Track List, Release Date". Rolling Stone . United States. Retrieved January 23, 2019. ↑ Shepherd, Jack (October 11, 2018). "Ariana Grande confirms break from music following rapper Mac Miller's death". The Independent. Retrieved November 4, 2018. ↑ Espinoza, Joshua (October 3, 2018). "Ariana Grande Is Back in the Studio After Taking Time Off". Complex. Retrieved November 4, 2018. ↑ Sippell, Margeaux (October 25, 2018). "Ariana Grande Announces 'Sweetener World Tour' Dates". Variety. Retrieved November 4, 2018. ↑ Bartram, Naomi (December 1, 2018). "Ariana Grande and Pete Davidson: a timeline of their relationship". Cosmopolitan. Retrieved January 23, 2019. ↑ Iasimone, Ashley (February 9, 2019). "Ariana Grande Says the 'Thank U, Next' Album 'Kind of Saved My Life' in In-Depth 'Zach Sang Show' Interview". Billboard . Retrieved March 31, 2019. ↑ Harvilla, Rob (February 8, 2019). "Ariana Grande Just Beat the Boys by Joining Them". The Ringer. Retrieved March 31, 2019. ↑ Leight, Elias (February 9, 2019). "Some Albums Take Years. Ariana Grande Made 'Thank U, Next' in 2 Weeks". Rolling Stone . Retrieved April 8, 2019. ↑ "Billboard Woman of the Year Ariana Grande: 'There's Not Much I'm Afraid of Anymore'". Billboard . December 5, 2018. Retrieved March 31, 2019. ↑ Gaca, Anna (February 14, 2019). "Ariana Grande's thank u, next Is Perfect For the Moment". SPIN. Retrieved March 31, 2019. ↑ Graves, Wren (February 15, 2019). "Album of the Week: The Real Ariana Grande Arrives on the Authentic thank u, next". Consequence of Sound. Retrieved March 31, 2019. 1 2 Daly, Rhian (February 12, 2019). "Ariana Grande – 'Thank U, Next' review". NME . Retrieved February 12, 2019. 1 2 3 4 5 Sheffield, Rob (February 12, 2019). "Review: Ariana Grande Moves on in Spectacular Style With 'Thank U, Next'". Rolling Stone . Retrieved February 12, 2019. 1 2 3 "Ariana Grande "thank u, next" Interview". Zach Sang. February 9, 2019. Retrieved March 31, 2019– via YouTube. ↑ "thank u, next". iTunes . February 8, 2019. Retrieved March 31, 2019. ↑ "Ariana Grande Releases Romantic New Song 'Imagine' — Here's Why Fans Think It's About Mac Miller". People.com. Retrieved January 14, 2019. ↑ "Review: Ariana Grande Nails It Again With "Imagine" – black boy bulletin". Black Boy Bullentin. Retrieved December 15, 2018. ↑ "Ariana Grande Brings Back The Whistle Note For Her New Song Imagine". Hit. December 14, 2018. Retrieved December 14, 2018. 1 2 "Ariana Grande Releases New Song 'Thank U, Next' Just Before 'SNL'". Billboard . November 3, 2018. Retrieved November 4, 2018. ↑ "Ariana Grande Teases New Song About 'Failed Relationships'". Us Weekly. December 12, 2018. Retrieved December 12, 2018. 1 2 "Ariana Grande's 'Thank U, Next': A Track-by-Track Review". Out. Retrieved March 31, 2019. 1 2 3 "Track by track review: Ariana Grande- 'thank u, next'". Medium. Retrieved March 31, 2019. ↑ Koren, Marina (February 9, 2019). "A Space Nerd's Reading of Ariana Grande's 'NASA' Song". The Atlantic. Retrieved February 25, 2019. ↑ Chambers, Hannah (February 8, 2019). "A Breakdown of Literally Every Single Thing That Happens On Ariana's New Album, 'Thank U, Next'". Cosmopolitan. Retrieved February 26, 2019. ↑ Gonzales, Erica (February 8, 2019). "Ariana Grande's "NASA" Is the Anthem for People Who Need Space". Harper's BAZAAR. Retrieved February 25, 2019. ↑ "'Thank U, Next' Is the Ariana Grande Album We've Always Wanted". Complex. Retrieved February 26, 2019. ↑ Tang, Estelle (February 19, 2019). "Ariana Grande's Thank U, Next Is a Horny Emotions Album for the Ages". Elle.com. ↑ Nied, Mike (February 8, 2019). "Ariana Grande Drops "Break Up With Your Girlfriend, I'm Bored" Video". Idolator . 1 2 3 4 5 6 Music, Michael (February 8, 2019). "Album Review: Ariana Grande – Thank U, Next (track by track)". A Bit Of Pop Music. 1 2 3 4 Cragg, Michael (February 8, 2019). "Ariana Grande: Thank U, Next review – a break-up album of wit and wonder". The Guardian . Retrieved February 8, 2019. ↑ Powell, Emma (October 11, 2018). "Ariana Grande: I've been through hell". MSN. Retrieved March 31, 2019. ↑ Crooshanks, Chloe (February 14, 2019). "Track by track review: Ariana Grande- 'thank u, next'". Medium. Retrieved March 31, 2019. ↑ Tang, Estelle (February 19, 2019). "Ariana Grande's Thank U, Next Is a Horny Emotions Album for the Ages". Elle . Retrieved March 31, 2019. ↑ Kornhaber, Spencer (February 8, 2019). "Ariana Grande Tells the Cold Truth on Thank U, Next". The Atlantic. Retrieved March 31, 2019. 1 2 3 Santos, Karla (February 14, 2019). ""thank u, next" Review: Ariana Grande bares soul in latest album". Chimes. Retrieved March 31, 2019. ↑ Leight, Elias (February 18, 2019). "How Ariana Grande Scored Two Number One Albums in Just Six Months". Rolling Stone . Retrieved March 31, 2019. ↑ "Is Ariana Grande's 'Ghostin' about Mac Miller and Pete Davidson? The song's meaning explained". NME . March 1, 2019. Retrieved March 31, 2019. 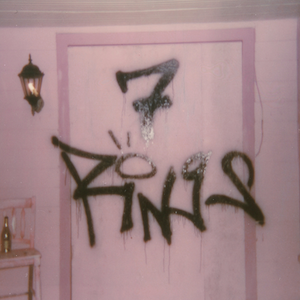 ↑ "7 rings – Single by Ariana Grande" . Retrieved January 18, 2019. ↑ Nelson, Jeff (January 18, 2019). "Ariana Grande reveals some of her favorite things in new women empowerment anthem '7 Rings'". Entertainment Weekly . Retrieved January 24, 2019. 1 2 Kornhaber, Spencer (January 23, 2019). "How Ariana Grande Fell Off the Cultural-Appropriation Tightrope". The Atlantic . Retrieved January 24, 2019. 1 2 "Ariana Grande & Her Girlfriends Get Their Bling On In Sassy '7 Rings' Video: Watch". Billboard. Retrieved January 18, 2019. ↑ Reilly, Nick (January 18, 2019). "Watch the video for Ariana Grande's new song '7 Rings'". NME. Retrieved January 18, 2019. ↑ Andrew Unterberger (February 22, 2019). "'Sweet, Thanks': Combining Ariana Grande's Two Recent LPs Into One 13-Track Masterpiece". Billboard. Retrieved February 22, 2019. An ideal radio single that throws back to the turn of the century with [...] its impeccable pop-R&B hybridity. ↑ Kitty Empire (February 17, 2019). "Ariana Grande: Thank U, Next review – a lodestar for how complicated life can be". The Guardian . Retrieved March 18, 2019. Break Up With Your Girlfriend, I’m Bored – a trap-pop entreaty that paints Grande as a bad girl, trying to steal someone else’s man. ↑ Abraham, Mya (February 8, 2019). "One Of Ariana Grande's Newest Songs Is Another Ode To Mac Miller..." BET . Retrieved April 17, 2019. ↑ Grande, Ariana (January 13, 2019). "i added a fun one (lol) to replace one that i decided i don't think wanna share w the world. so we back to twelve tracks. i appreciate u understanding in advance". @arianagrande. Retrieved February 9, 2019. ↑ Brittany Spanos (February 8, 2019). "Watch Ariana Grande Party in 'Break Up With Your Girlfriend I'm Bored' Video". Rolling Stone . Retrieved March 31, 2019. ↑ Molanphy, Chris (November 15, 2018). "Why Ariana Grande's "Thank U, Next" Is Her First No. 1 Song". Slate Magazine. Retrieved February 18, 2019. ↑ Hussein, Wandera (October 25, 2018). "Ariana Grande announces Sweetener World Tour". The Fader. Retrieved October 26, 2018. ↑ Grande, Ariana (December 14, 2018). "EUROPE". Twitter. Retrieved December 14, 2018. ↑ "Normani to Join Ariana Grande as Support For Sweetener World Tour". Billboard. Retrieved November 20, 2018. ↑ McDermott, Maeve (November 4, 2018). "Ariana Grande says her exes heard 'Thank U, Next' before its release". USA Today. Retrieved November 7, 2018. ↑ Ivie, Devon (November 3, 2018). "Ariana Grande Is Hyping Up Her Next Album, Thank U, Next". Vulture. Retrieved November 4, 2018. ↑ Kreps, Daniel (November 7, 2018). "See Ariana Grande Debut Live 'Thank U, Next' on 'Ellen'". Rolling Stone . Retrieved January 13, 2019. ↑ Squires, Bethy (January 10, 2019). "Ariana Grande's Next Single Will Be About That Time She Got Drunk and Bought All Her Friends Rings". Vulture. Retrieved January 13, 2019. ↑ Trust, Gary (January 31, 2019). "Ariana Grande's 'Thank U, Next' Album Is in Historic Chart Company, Before Its Release". Billboard. Retrieved January 31, 2019. ↑ "Ariana Grande breaks her own record (again) with '7 Rings'". MTV UK. January 19, 2019. Retrieved January 19, 2019. ↑ Spanos, Brittany (January 25, 2019). "Song You Need to Know: Ariana Grande, '7 Rings'". Rolling Stone . Retrieved January 27, 2019. ↑ Cox, Jamieson (January 18, 2019). "Ariana Grande '7 rings'". Pitchfork . Retrieved January 18, 2019. ↑ "Princess Nokia Accuses Ariana Grande of Stealing Her Sound on '7 Rings'". Billboard. ↑ Straus, Matthew (January 18, 2019). "Princess Nokia Accuses Ariana Grande of Copying Her on New Song '7 rings'". Pitchfork. Retrieved January 19, 2019. ↑ "Just How Many Artists Feel They Got Ripped Off by Ariana Grande?". Vulture. ↑ "Break Up with Your Girlfriend, I'm Bored" . Retrieved February 9, 2019. ↑ Copsey, Rob (February 15, 2019). "Ariana Grande scores a record-breaking week with Thank U, Next on the Official Chart". Official Charts Company . Retrieved February 15, 2019. ↑ White, Jack (February 15, 2019). "Ariana Grande claims the Official Irish Chart Double as Break Up With Your Girlfriend, I'm Bored and Thank U, Next debut at Number 1". Official Charts Company. Retrieved February 15, 2019. ↑ Trust, Gary. "Ariana Grande Claims Nos. 1, 2 & 3 on Billboard Hot 100, Is First Act to Achieve the Feat Since The Beatles in 1964". Billboard . Retrieved February 19, 2019. ↑ Aniftos, Rania (December 11, 2018). "Ariana Grande Drops Countdown For Her Next Single, 'Imagine'". Billboard. Retrieved December 12, 2018. ↑ "Ariana Grande Got Into the Christmas Spirit for Her TV Debut Performance of 'Imagine': Watch". Billboard. December 19, 2018. Retrieved December 22, 2018. ↑ "thank u, next by Ariana Grande reviews". AnyDecentMusic? . Retrieved February 11, 2019. 1 2 "thank u, next by Ariana Grande Reviews and Tracks". Metacritic . Retrieved February 11, 2019. ↑ Zaleski, Annie (February 11, 2019). "Ariana Grande has no fucks to spare on the thrilling Thank U, Next". The A.V. Club . Retrieved February 12, 2019. ↑ White, Adam (February 8, 2019). "Ariana Grande, Thank U, Next review: presenting the pop queen at her most unashamedly honest". The Daily Telegraph . Retrieved February 11, 2019. ↑ Johnston, Maura (February 11, 2019). "Ariana Grande reminds listeners who's in charge on intimate thank u, next: EW review". Entertainment Weekly. Retrieved February 11, 2019. 1 2 Brown, Helen (February 8, 2019). "Ariana Grande, thank u next review: Pop star owns her contradictions and embraces her inner mean girl". The Independent. Retrieved February 8, 2019. ↑ Power, Ed (February 8, 2019). "Ariana Grande: Thank U, Next review – Pop superstar at her defiant, brilliant best". The Irish Times . Retrieved March 24, 2019. ↑ Kameir, Rawiya (February 11, 2019). "Ariana Grande: thank u, next". Pitchfork. Retrieved February 11, 2019. ↑ Horton, Ross (February 8, 2019). "Ariana Grande's Thank U, Next is her greatest record yet". The Line of Best Fit . Retrieved February 8, 2019. ↑ Wood, Mikael (February 8, 2019). "Review: Ariana Grande's 'Thank U, Next' swagger upstages Grammys drama". Los Angeles Times . Retrieved February 8, 2019. ↑ Cinquemani, Sal (February 8, 2019). "Review: Ariana Grande Embraces Her Flaws on Thank U, Next". Slant Magazine. Retrieved February 8, 2019. ↑ Christgau, Robert (March 23, 2019). "Robert Christgau on Ariana Grande's Garden of Sonic Delights". Vice . Retrieved March 23, 2019. ↑ Trust, Gary (February 19, 2019). "Ariana Grande Breaks Record For Most Simultaneous Top 40 Billboard Hot 100 Hits by a Female Artist". Billboard . Retrieved February 19, 2019. ↑ Caulfield, Keith (February 24, 2019). "Ariana Grande's 'Thank U, Next' Spends Second Week at No. 1 on Billboard 200 Albums Chart". Billboard . Retrieved March 31, 2019. ↑ McIntyre, Hugh (February 17, 2019). "Ariana Grande Currently Has Three Songs Inside The U.K. Top 10". Forbes. Retrieved February 19, 2019. ↑ "Ari Up! : Ariana Grande just set seven new chart records". The Music Network. February 17, 2019. Retrieved February 19, 2019. ↑ "Try the TIDAL Web Player". listen.tidal.com. Retrieved February 8, 2019. ↑ "Shangela 'Thrilled' to Be on Ariana Grande's 'Thank U, Next' Album: 'You Gotta Be Kidding'". February 8, 2019. ↑ "Australiancharts.com – Ariana Grande – Thank U, Next". Hung Medien. Retrieved February 16, 2019. ↑ "Austriancharts.at – Ariana Grande – Thank U, Next" (in German). Hung Medien. Retrieved February 21, 2019. ↑ "Ultratop.be – Ariana Grande – Thank U, Next" (in Dutch). Hung Medien. Retrieved February 16, 2019. ↑ "Ultratop.be – Ariana Grande – Thank U, Next" (in French). Hung Medien. Retrieved February 16, 2019. ↑ "Ariana Grande Chart History (Canadian Albums)". Billboard. Retrieved February 19, 2019. ↑ "Czech Albums – Top 100". ČNS IFPI. Note: On the chart page, select 201907 on the field besides the word "Zobrazit", and then click over the word to retrieve the correct chart data. Retrieved February 19, 2019. 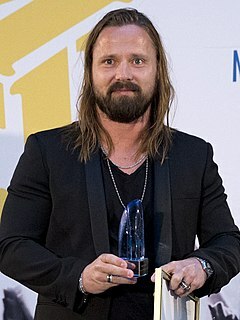 ↑ "Hitlisten.NU – Album Top-40 Uge 6, 2019". Hitlisten . Retrieved February 20, 2019. ↑ "Dutchcharts.nl – Ariana Grande – Thank U, Next" (in Dutch). Hung Medien. Retrieved February 16, 2019. ↑ "Ariana Grande: Thank U, Next" (in Finnish). Musiikkituottajat – IFPI Finland. Retrieved February 17, 2019. ↑ "Le Top de la semaine : Top Albums Fusionnes – SNEP (Week 7, 2019)" (in French). Syndicat National de l'Édition Phonographique. Retrieved February 18, 2019. ↑ "Offiziellecharts.de – Ariana Grande – Thank U, Next" (in German). GfK Entertainment Charts. Retrieved February 15, 2019. ↑ "Top 40 album DVD és válogatáslemez-lista – 2019. 7. hét" (in Hungarian). MAHASZ. Retrieved February 22, 2019. ↑ "Irish Albums Chart: 15 February 2019". Irish Recorded Music Association. Retrieved February 16, 2019. ↑ "Album – Classifica settimanale WK 7 (dal 08.02.2019 al 14.02.2019)" (in Italian). Federazione Industria Musicale Italiana . Retrieved February 16, 2019. ↑ "Oricon Top 50 Albums: 2019-02-18" (in Japanese). Oricon. Retrieved February 13, 2019. ↑ "Billboard Japan Hot Albums: 2019/02/18 付け". Billboard Japan . Retrieved February 13, 2019. ↑ "NZ Top 40 Albums Chart". Recorded Music NZ. February 18, 2019. Retrieved February 15, 2019. ↑ "VG-lista – Topp 40 Album uke 7, 2019". VG-lista . Retrieved February 16, 2019. ↑ "Oficjalna lista sprzedaży :: OLiS - Official Retail Sales Chart". OLiS. Polish Society of the Phonographic Industry. Retrieved February 21, 2019. ↑ "Portuguesecharts.com – Ariana Grande – Thank U, Next". Hung Medien. Retrieved February 26, 2019. ↑ "Official Scottish Albums Chart Top 100". Official Charts Company. Retrieved February 16, 2019. 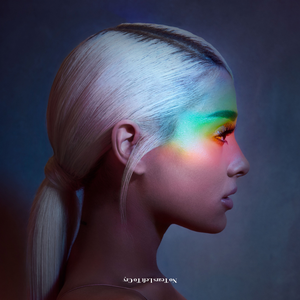 ↑ "SK – ALBUMS – TOP 100: ARIANA GRANDE – thank u, next". ČNS IFPI . Retrieved February 19, 2019. ↑ "Gaon Album Chart – Week 8, 2019" (in Korean). Gaon . Retrieved March 8, 2019. ↑ "Top 100 Albumes – Semana 7: del 8.2.2019 al 14.2.2019" (in Spanish). Productores de Música de España . Retrieved February 20, 2019. ↑ "Sverigetopplistan – Sveriges Officiella Topplista". Sverigetopplistan . Retrieved February 16, 2019. Click on "Veckans albumlista". ↑ "Swisscharts.com – Ariana Grande – Thank U, Next". Hung Medien. Retrieved February 20, 2019. ↑ "Official Albums Chart Top 100". Official Charts Company. Retrieved February 16, 2019. ↑ "Ariana Grande Chart History (Billboard 200)". Billboard. Retrieved March 1, 2019. ↑ "Danish album certifications – Ariana Grande – Thank U, Next". IFPI Denmark. Retrieved April 9, 2019. Scroll through the page-list below until year 2019 to obtain certification. ↑ "New Zealand album certifications – Ariana Grande – Thank U, Next". Recorded Music NZ. February 25, 2019. Retrieved March 2, 2019. ↑ "British album certifications – Ariana Grande – Thank U, Next". British Phonographic Industry. Select albums in the Format field. Select Gold in the Certification field. Type Thank U, Next in the "Search BPI Awards" field and then press Enter. ↑ "American album certifications – Ariana Grande – Thank U, Next". Recording Industry Association of America . Retrieved April 8, 2019. If necessary, click Advanced, then click Format, then select Album, then click SEARCH. ↑ "thank u, next cd + digital album". Ariana Grande. January 25, 2019. Retrieved January 5, 2019. ↑ "thank u, next cassette + digital album". Ariana Grande. January 25, 2019. Retrieved January 5, 2019. ↑ "thank u, next vinyl + digital album". Ariana Grande. January 25, 2019. Retrieved January 5, 2019.